All SL Environmental operatives are trained to the latest standards, and undergo regular refresher training. We believe this is a major factor in our continuing success and growth. We guarantee we adhere to the highest Health and safety standards, and offer you peace of mind that any potential hazard is removed with the minimum of disturbance to your daily routine. Please click here to view and download our asbestos license. SL Environmental can offer a complete start to finish service. From the initial site survey including analysis of materials with a detailed report of any hazards found. With the repot we can then arrange for the safe removal of all types of asbestos in both board and fibrous form, complying strictly with HSG247 Asbestos: The licensed contractors’ guide, all current health and safety legislation, and CDM requirements. On completion of the removal, SL Environmental can carry out the reinstatement with a non-asbestos equivalent. Therefore the whole project can be carried out by one company, thus removing any problems of interfacing multiple companies. We can supply very competitive quotations for the entire process to keep everything together, or we are more than happy to quote for each part individually. 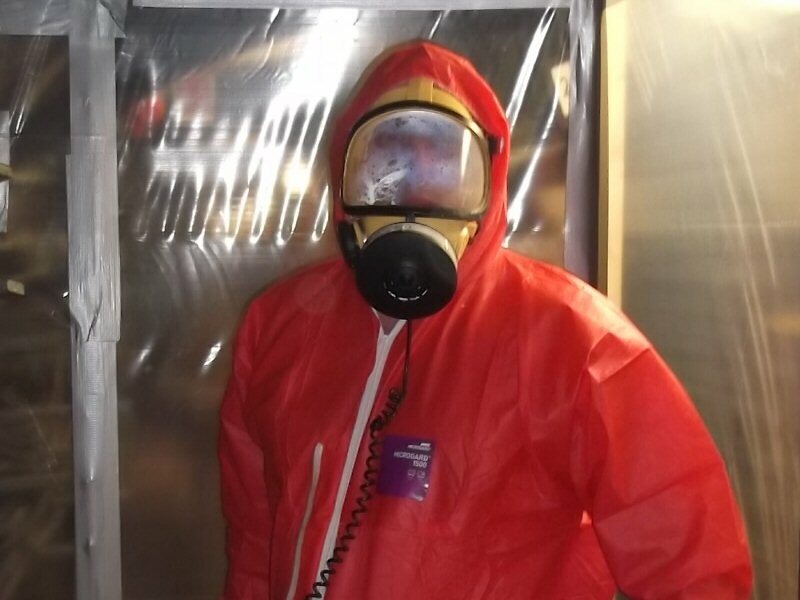 As part of our Asbestos Removal Service we can provide, Asbestos removal paperwork required by the HSE, Asbestos removal paperwork required by your Health and Safety Department, plant and equipment needed to remove your asbestos, labor needed to remove your asbestos, all necessary air tests, Asbestos disposal and Asbestos removal consignment notes.